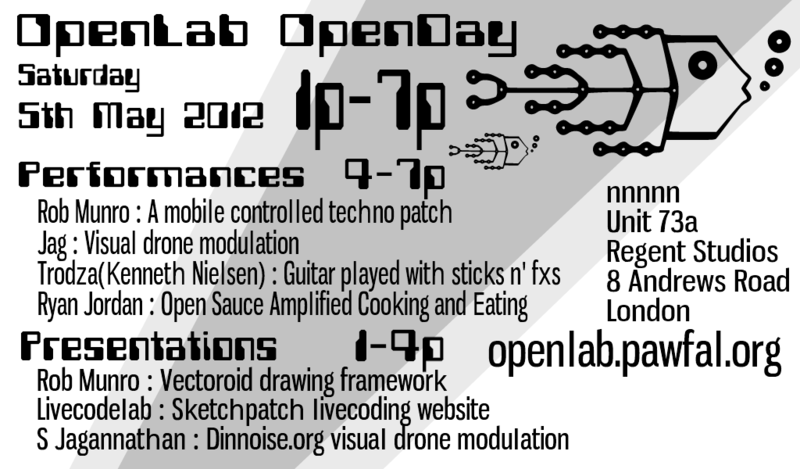 Open night is a night/day of presentations & performances where people can come along and try out their new open-source based creations in front of an audience, or just have a jam (e.g. patch swap, etc). We also have presentations of things people are working on before we start. So if you been tinkering away and want to show of your work then anyone is free to join in.